To have what only the 5% have, you must do what only the 5% are prepared to do? In a nutshell, it implies that only 5% of people reach the top of their fields, goals, and aspirations. So going back to my question, when did you first hear or read about the 95/5% formula? Did it have an impact on your life as it did mine? wanted to do a good job, complete the tasks quickly, and earn money to do and buy the things I wanted. I was your typical teenage kid going to school with a part-time job. particular outlet. He was a very fair and skillful manager and had the team running and working well. Except for one individual who was two years older than me, we will call him John because I really cant remember his name. John was one of those kids who would rock up late to work, do the least he could during the shift, and always leave the more difficult jobs, such as cleaning out the rotisseries and doing the dishes (I really didn't like doing the dishes! ), to everyone else. He would never fill in a shift for any other team member or help out, he simply did the bare minimum just to get by. So on this particular shift, for which both John and I were rostered, it was absolutely flat out. We were getting smashed, and I mean smashed. Orders were flying out of the printers in one continuous stream, customers were getting disgruntled, and we were absolutely struggling to keep up. The best way to describe to it was organised chaos! Of course, we were all running around like headless chooks and we all had to put in extra effort to get the job done everyone did except for, you guessed it, John. And I cracked! I went off my head and was so pissed that John wouldn't carry his fair share of the workload. I spat the dummy and the dummy spat was directed at Simon! I mean, it was his responsibility to get John to do his fair share and not leave it up to everyone else to take on his load. So the scene was now set for one of my life's most profound life lessons. The rostered shift was coming to its end and the store was closed for the clean-up. John left, as he couldn't arrange for a later pick up from his parents, and there was still heaps of cleaning to do. You can imagine that my blood was boiling and I made sure Simon knew about it with continuous whining and whinging. And that's when Simon had had enough. In not so polite language, he yelled out to me and sent me to his office. I was about to receive his one minute lesson. Simon: Manos, sit down and listen to what I have to say ...People like John are in the 95% of the world. They do just enough to get by; doing extra is not in their vocabulary. The other 5% get the job done and more, no matter what. They don't whine and whinge and they don't care what others do or don't do. They don't look at things being fair or not fair, they just do. They make things happen and achieve everything they want in life. So you have a choice right now, not tomorrow, but today, right this moment. 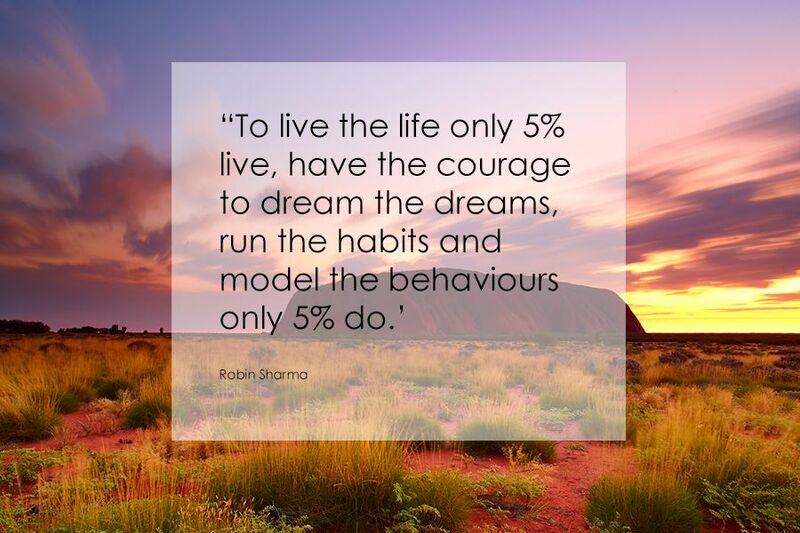 DO YOU WANT TO BE IN THE 5% OR 95%? I replied (instantly and petrified at the same time) "I want to be in the 5%"
SIMON: Then get out there and finish the dishes! It took Simon less than 60 seconds to deliver those words. He was 21 years of age. Fast forward thirty-five-plus years and I still reflect on that not so typical Red Rooster shift. It was an invaluable life lesson without question. Have I lived up to Simon's expectations by being part of the 5%? In some areas of my life, yes; in others, not quite. What I do know for sure as it was then, and as it is now is we have a daily choice, minute by minute, to live a life that aspires to be part of the 5%. For a complete and complimentary edition click on the link below.